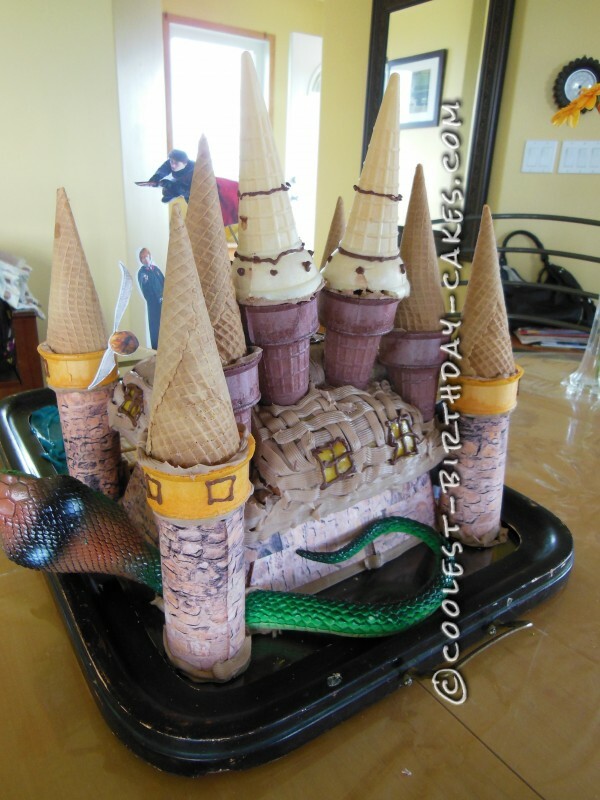 This Hogwarts Ice Cream cone cake was made for my twins’ 9th birthday. 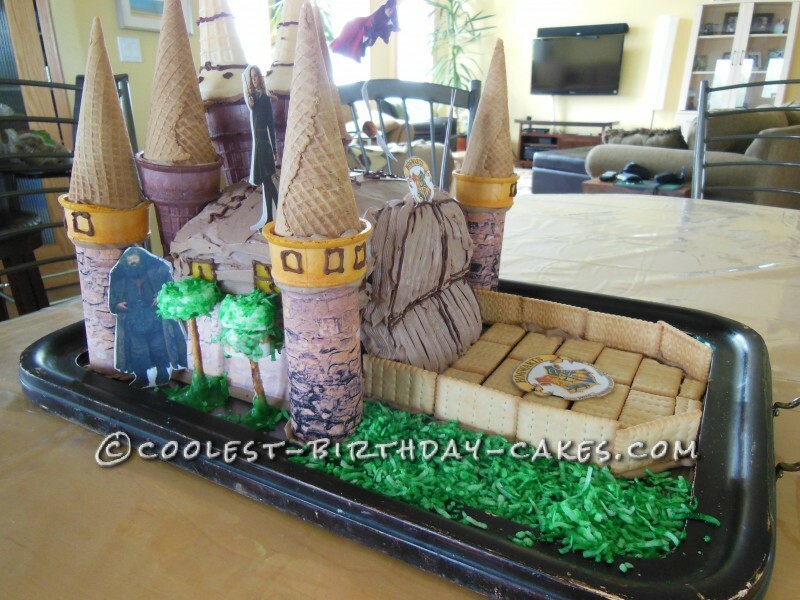 I was inspired by cakes on this site, but once I got going, it became an original creation. 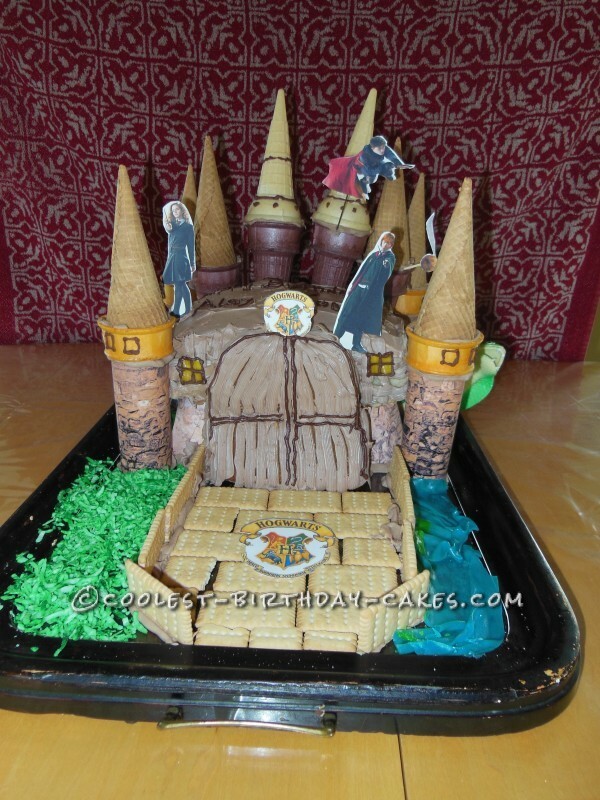 This Hogwarts cake required very little skill, just props and an internet connection. As you can see, much of the cake it not cake at all — it’s different varieties of ice cream cones. I bought sugar waffle cones, chocolate cones, flat bottom cones and narrow pointy cones. I also used many props. The towers are toilet paper tubes covered in a brick pattern I found on-line. Just searched for “brick wall” photo and copied it onto a Microsoft word doc and printed up. 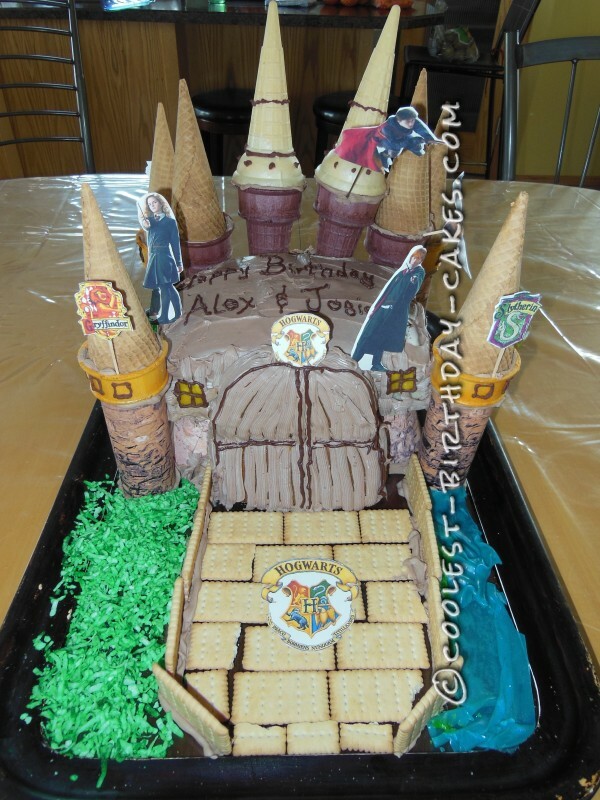 I also used that pattern to line the bottom layer of the castle — it’s a square Pyrex covered in the brick pattern. On top of the Pyrex went the cake. It’s a 9 x 11 sheet cake in two layers. But the back end I trimmed and then stacked up those ends to make the giant door. When I “glued” the cones onto it, you can’t tell it’s a bit shorter in the back. I printed up photos of the characters and the school crests — the girls helped cut them out and glue them to toothpicks. Then it was fruit roll-ups for the sea and windows, dyed coconut for the forest grasses, and a plastic snake (cut in pieces) to become the scary Basilisk who lives in the plumbing. 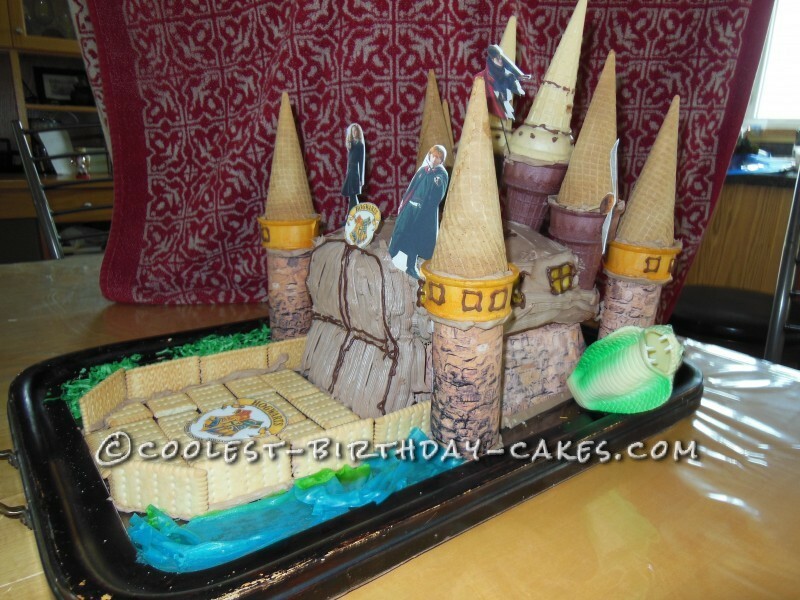 Hogwarts Castle received many ooohhhhs and ahhhhhs at the party, and was gobbled up in one sitting. A scoop of ice cream and a cone for each child. I was mother magician to my Harry Potter fans.